This summer is the “summer of hiking” for my son and me. We live in an area that features numerous outdoor activities, and that provide us with opportunities to enjoy nature. After enjoying a couple of hikes last year, my son decided that he wants to do more of it, and we have decided to hike more. Obviously your child isn’t going to be able to handle the most strenuous hikes immediately. You need to keep things easy and simple to start. My son and I started with a shorter hike near the mouth of a nearby canyon. It wasn’t overly strenuous, but it was fun and provided a good starting point. 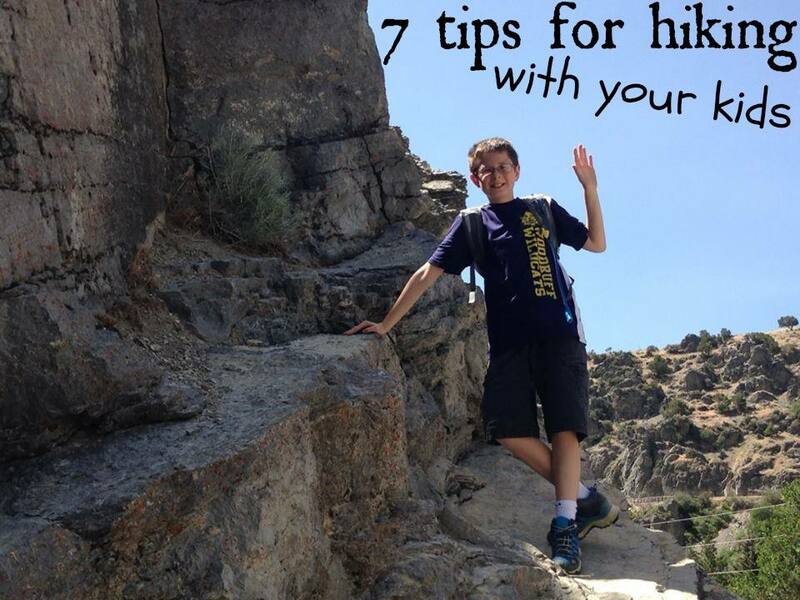 Keep the hikes to your child’s age and experience level. Start with a short hike, and then build up to other hikes. I have a camping box that I use when I head into the woods, and it makes sense to have hiking supplies that you know are kid-friendly as well. This includes such items as wet wipes, hand sanitizer, magnifying glass, camera, chapstick, some sort of whistle or other safety noisemaker, and perhaps a guide. I have a small backpack that contains these items and is easy to grab when we’re ready to head out. Your child isn’t going to move as fast as you. In fact, you might find that your child doesn’t move at all. Kids like to look at new things, so plan for a hike to take a long time. During our first hike of the summer, my son was distracted by interesting rocks — and a desire to explore a little bit by climbing. Make sure you have adequate time for exploration, and don’t get annoyed if you have to turn back after going only a small part of the way. Hiking with your kids is more about the journey, and not reaching a specific destination. You need food and water on the trail. Bring granola bars, dried fruit, nuts, and other snacks that travel well. And don’t forget the water. My son is old enough to have one of those hydration systems he can wear on his back. I also bring additional water, just in case. Depending on your child’s age, you might need to make frequent stops for food, water, and rest. Be ready to take breaks, and turn those breaks into opportunities to look around and talk about what you see. Children like hikes with “features.” Look for items of interest, such as running water and water falls, interesting rock formations, or unusually plants. You can also arrange a scavenger hunt, encouraging your child to look for specific items or identify specific plants. Make it a picture scavenger hunt, so that you aren’t disturbing the surroundings too much. You can also include activities such as geo-caching on your hike. This can be a fun way to help keep your children occupied. Hiking with your kids should be an enjoyable experience for them as well as you. Make sure you dress for the weather and for the trail. If you know there is going to be undergrowth, wearing shorts usually isn’t a good idea. Consider wearing layers and bringing jackets to cut the wind, and to be prepared for rain. Think about what makes sense for the climate. Don’t forget the sunscreen and the bug repellent. As you go along, be sure to teach your child appropriate trail etiquette, as well as encourage a “leave no trace” attitude. Remember that you want to teach your child to be a responsible hiker, as well as someone who enjoys the outdoors.